Yesterday, April 7, 2016 was one year that I’ve released the first book in my second series! WOW!! Yes, I’ve written a few books since then but it’s still surreal. I mean, I never thought I’d be a published author but then Delphine Publications came along and I’ll tell anybody that’ll listen how grateful I am for Tamika Newhouse. She is a chick that grinds, minute by minute and she it taking the literary industry by storm (If you don’t know her, Google her) LOL. But I didn’t start this post to be all sentimental but I’m writing this for somebody out there that doesn’t think they can do it. YES YOU CAN! You can do whatever you set your mind to. Please understand this, writing isn’t for wimps (I’ve said it before). There will be times you push and you still won’t get the sales you thought you should. There will be times you think you’ve written a great book and it’ll still get bad reviews. There will be times you pray for mega support and you won’t get it (even from family and friends). This is why you have to remain strong. And STOP gauging your success off of what somebody else has. You are not them and they are not you. Don’t expect your book to be on New York Time’s best seller list the day after you publish and no one knows your name. Don’t release a book on Tuesday and expect a major publishing company to pick you up on Wednesday. It takes time in this line of business. Why? Because there are 100 other people writing about the same thing you are. But that’s ok, continue to write. So as I celebrate another milestone, please understand; I am not there yet either but it doesn’t mean I’m getting off the ride. One of hese good ole days, I’ll be writing how I went from that $26 royalty check to $2600. Don’t believe me just watch! God has given me an amazing gift and I know He didn’t give it to me to bury it in the ground because eventually it’ll pay off. So I’ll be patient until it does. You do the same thing. Don’t give up on what you have and what you’ve done. It will work out. 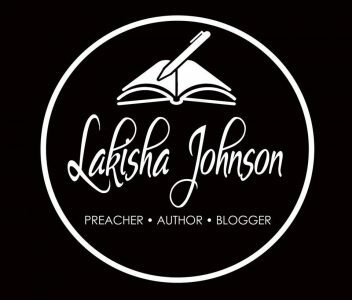 And if you are unfamiliar with who I am, check out the About Lakisha page and visit my Author Page on Amazon or Facebook.